Researchers from the Human Nutrition Research Center on Aging at Tufts University and University of Maryland Baltimore County conducted studies on the positive effects of a berry enriched diet on the brain. They found that having berries on a diet increases its protective functions against toxins that can cause alzheimer's disease and that it alleviates stress by improving the brain's behavior and cognitive functions. 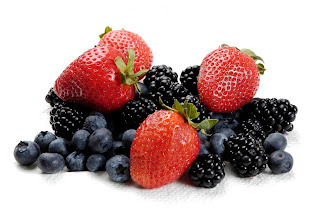 Previous studies on berries, particularly strawberries and blueberries, show that regular consumption of berries slows down the degeneration of cognitive functions. In older women, the study shows a delayed cognitive aging by up to 2.5 years. Current studies on berries extend its positive effects from delaying cognition to also protecting the brain from toxic accumulation as well as mitigating stress related behavior and cognitive decline. Phytonutrients present in the berries such as flavonoids, anthocyanins, and tannins is believed to be the contributing factor for this effect.